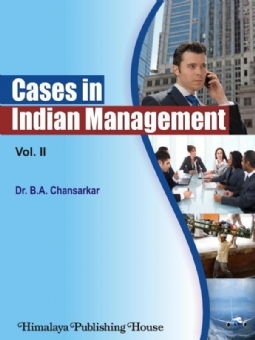 This volume II of "Cases in Indian Management" is the result of strong favourable feedback received about the acceptance and usefulness of the first volume brought in January 2008. Since the introductory chapter on `What is a case study and how to use the case study approach` was useful for those teaching and using, I have included the same in this volume for ready reference. I have in spite of request from certain quarters, deliberately decided not to provide indicative solutions to the questions set at the end of each case, as it mars forward thinking on the part of the users. Volume II has 8 Cases like the first volume. Case 1 by B.A. Chansarkar, deals with project planning. Case 2 by A. Rangnekar, deals with business entry strategy of an international firm. Case 3 by R. Chaturvedi, deals with public sector companies in competitive environment. Case 4 by A. Rangnekar, deals with local brand leading to a national brand. 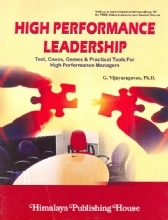 Case 5 by S. Pande, deals with performance management system. Case 6 by A. Rangnekar, deals with family business and turnaround strategy. Case 7 by S. Tombri, deals with brand development for a new entrepreneurial company and finally. Case 8 by A. Pandit, deals with resolving financial dilemma for a company in a declining global market. All cases were prepared as a basis for classroom discussion only; not to illustrate the effective or ineffective handling of management or business situations.